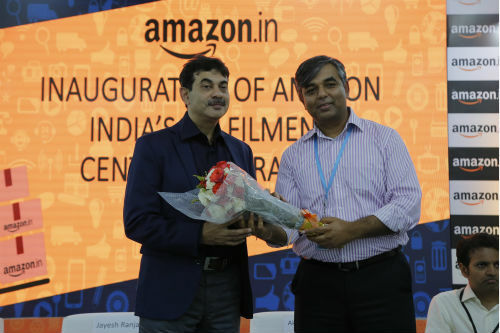 Hyderabad: Amazon today announced the expansion of its infrastructure footprint opening its largest fulfilment center in India with the view to enhance customer experience just ahead of the festive season. Covering over 400,000 square feet with close to 2.1 million cubic feet of storage space, the center situated in Shamshabad near Hyderabad is the 5th fulfilment center in Telangana and the largest in India. Amazon has ramped up storage capacity to 3.2 million cubic feet in Telangana to enable faster deliveries to customers in the region.